My fellow 12s, this is a “Career” offer. Not a paycheck job. Construction industry has always been a feast or famine. We are in midst of a Feast-mode so I’m sure many may be offering you a “Job”. But if you are looking long-term and want to be on a winning team, join Sockeye Homes. You’ll find a true home where you can find the right work-life balance with great pay while attaining long-term stability for your future. Sockeye Homes is officially the “Most Awarded Company” by Building Industry Association of Washington (that’s like winning the Super Bowl ten times in a row!). We are currently seeking to fill Full Time Employee positions from Rookie 12s to Veteran 12s (ok, that means from labors, carpenters to the most experienced superintendents). 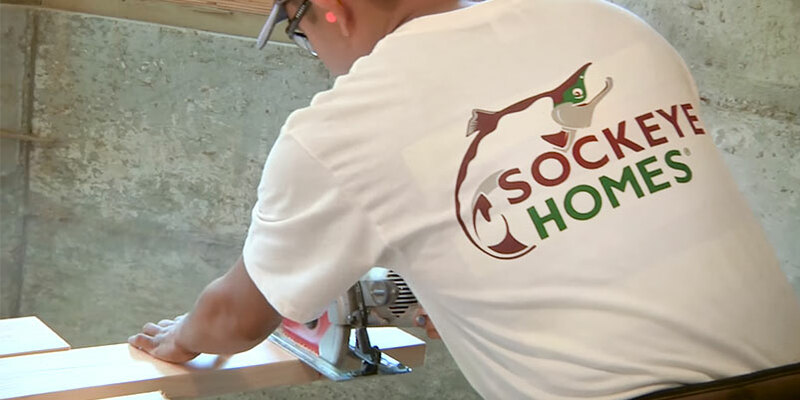 And if you are currently working for another contractor and thinking to make a change, here is another great reason to join Team Sockeye. The market demand for residential remodeling is growing exponentially in the Puget Sound region. Yes, we also build commercial, custom homes, and even do land development. But remodeling? Let’s face it, each year passes by, more and more (older) houses will need remodeling that require professionals. But there aren’t too many companies that truly have figured out how to meet that demand. Remodeling is a lot more challenging than building new homes as the clients live in their homes during the construction and you can’t just “sub-out” everything like many do in new construction. Besides, prospective clients don’t want to hire unknown contractors who don’t have the proven track records & credentials, it’s just way too risky! So today’s clients are seeking established & trusted mid-size remodelers that have the right system & organization in place, and Sockeye Homes is their answer. Each candidate must be drug-free, possess a valid Washington-state driver’s license and pass our screening tests; but most importantly, be a GREAT TEAMMATE! Are you a true 12?? If so, please use the contact form below and send us your resume. Understands plans and schedule work with Project Manager. Coordinate, supervise other carpenters and laborers. Coordinate, supervise and support subcontractors. Perform siding and trim work. Perform drywall including patch work and texture. Install doors, windows and cabinets. We offer a full time salary with medical and retirement benefits. The candidate we seek must be a good communicator, honest, punctual and safety-conscious and possesses an eye for detail (and of course, loves doing the hands-on work when needed). Possess minimum 8+ years of job foreman experience in residential remodeling and building new homes (as part of a business, not as a hobby). Be effective, efficient and productive within the given timelines. Comprehend plans, specifications and engineering. Be able to perform all phases of construction. Perform and complete all punch items within a tight schedule. Lift and carry heavy materials (minimum 60 lbs for 3 flights of stairs). Climb up and work on a 3-story roof up to a 12/12 pitch (safety harness and equipment provided by the company). Work inside a 2-foot crawl space. Interested in Joining Team Sockeye? Send us your Information.